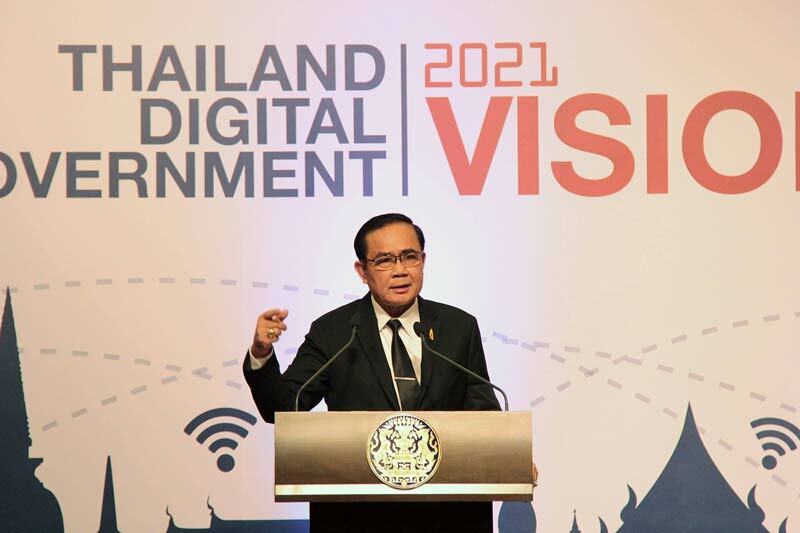 General Prayuth Chan o-cha, the Prime Minister of Thailand, announced the Digital Government Plan 2017-2021 on March 8. The government aims to develop digital capabilities within all sectors, including agriculture, tourism, education, the medical profession, investment, disaster prevention, and public administration, in order to drive economic and social progress. To achieve this objective, digital technologies need to be incorporated into public services. In April 2016, the Cabinet approved the Three-Year Digital Government Development Plan (2016-2018) developed by the Ministry of Digital Economy and Society, in collaboration with the Electronic Government Agency (EGA). After the approval, the EGA added 8 domains (e Ministry of Digital Economy and Society, in collaboration with the EGA) to the initial list of 18 major domains. Subsequently, two new domains, were added, Digital Government infrastructure and government personnel qualification and the development plan advanced to the Five-Year Digital Government Development Plan (2017-2021). To leverage core indicators related to Digital Government. To advance public services to meet various demands of people accurately and conveniently without requiring the use of any copied documents. To strengthen the digital infrastructure of the public sector, generate effective database management based on the integration of non-redundant data, ensure the seamless connection of day-to-day operations conducted by various government agencies, and provide citizens with the most efficient and reliable public services. To achieve these goals, five development strategies have been delineated: 1) Development of People’s Quality of Life, 2) Maximized Competitiveness of the Business Sector, 3) Advancement of Public Security, 4) Enhanced Efficiency of the Public Sector and 5) Integration of Digital Government. Twenty ministries will collaborate for the implementation of these strategies. Smart Service– The concept was to reduce the use of paper-based documents. The most remarkable example was the Application Programming Interface (API, developed by the Provincial Waterworks Authority (PWA), which seamlessly connected public information and the service system. Government Smart Kiosk– These would share verified information, related to public services, such as household registration and medical care certification, with the public. Access is based on an individual’s ID card. Biz Portal – This is a centralized search engine to facilitate the work of business entrepreneurs and investors ivia the website anywhere and at any time. Online services on this portal ain business registration, employer’s registration, work rule submission, requesting electricity and water. Farmer One – This portal provides information on land utilization, land tenure, and other beneficial details related to the agricultural sector and responsible agencies. Thailand Digital Government Academy (TDGA) – The academy was established, in collaboration with the OCSC, to promote development of digital knowledge of government authorities and public officials. The EGA has signed a memorandum of understanding with the OCSC and the TQPI to achieve the targeted goals.